Rimmel Lasting Finish 25hr Breathable Concealer comes in a plastic tube type and practically travel friendly. I choose shade 200 light as I see the color on the tube pretty well for medium skin tone like mine. This concealer claims to be a lightweight with medium coverage that helps to conceal imperfections. This is how the product will go through the sponge. You really have to press a little bit for the product to go out. Overall, I find the packaging was not the best for me. 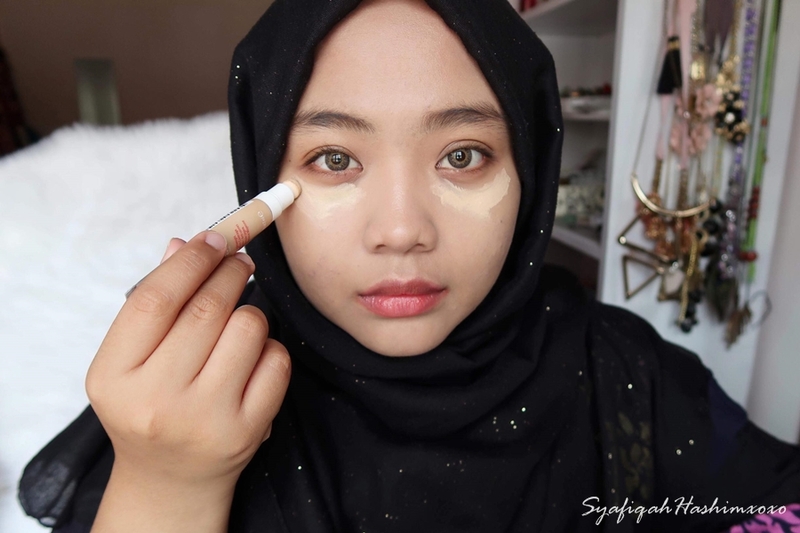 I still prefer concealer with the wand applicator than the spongy one. Shade/ Color: They have 6 shades to choose and I pick code 200 light which I think this color will match with my skin tone. I was trying to get the medium shades but they run out of stock at that time. At first, I'm afraid the shade won't matches with my skin tone but I'm glad it match pretty well. This is how I normally use the concealer. I will use concealer brush to blend it. Texture: It has light texture yet creamy but not to creamy, maybe in between creamy and liquidity. Easy to blend but you have to make the blending work fast before it get dries up. Does not causing patchy or cakey on my eye or spot area. 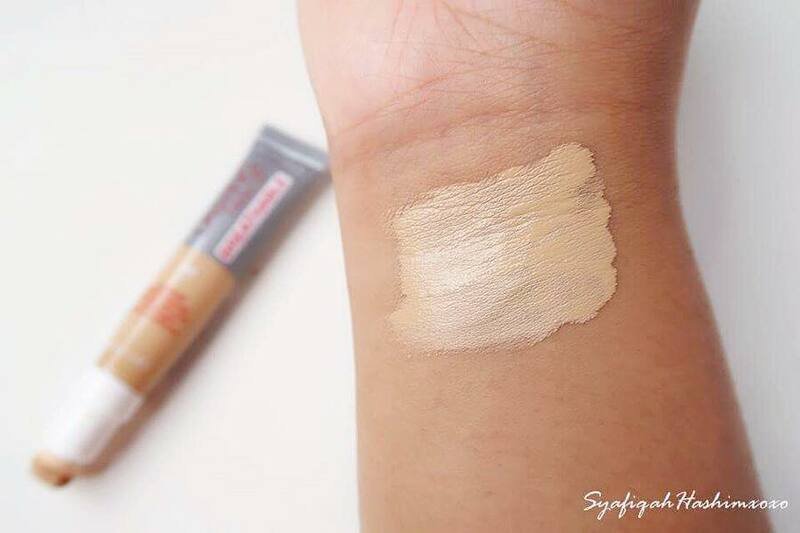 With lightweight texture yet it can give medium coverage to my dark circle and blemishes. Coverage: Yes! It has medium coverage just like what they claim. As you can see in the picture, it gives smooth effect on my eye area. I do not feel heavy after application and appear nicely on me. But I only apply this concealer if I'm applying foundation because of the shades. Huhuhuu..
Longevity/ Finishing: It has semi-matte finishing and smooth on skin. I like the fact that it does not emphasize line on my eye area and not cakey or patchy. 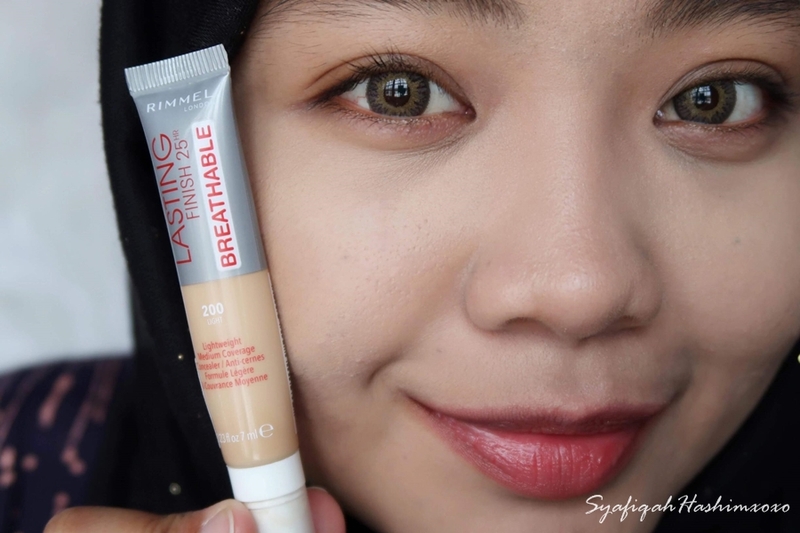 It have good medium coverage and consistency especially around blemishes area. It does show some brightening effect on my eye area. The staying power also good as I notice after I set with powder, it does not fade away easily even after 5-6 hours of wearing and it seat pretty well until I removed it. 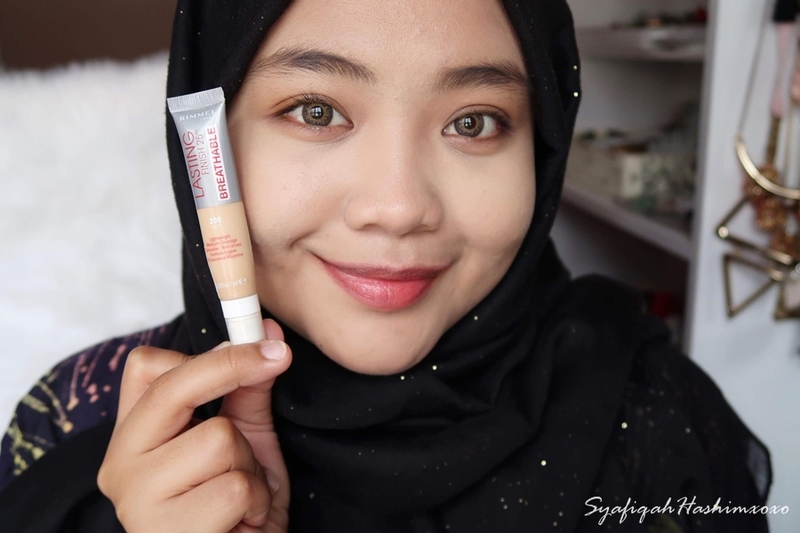 Overall, I think this concealer is pretty good considering the function and price definitely worth to get. Other than the packaging type (because I prefer the wand applicator than the sponge), the concealer works wonder with medium coverage, no patchy not cakey, and good staying power. Yeah,not bad. But kena blend elok2..